The legend asscociated with off-piste in the Chamonix valley was born on the confines of the glaciers, there where the slopes seem to go on forever. 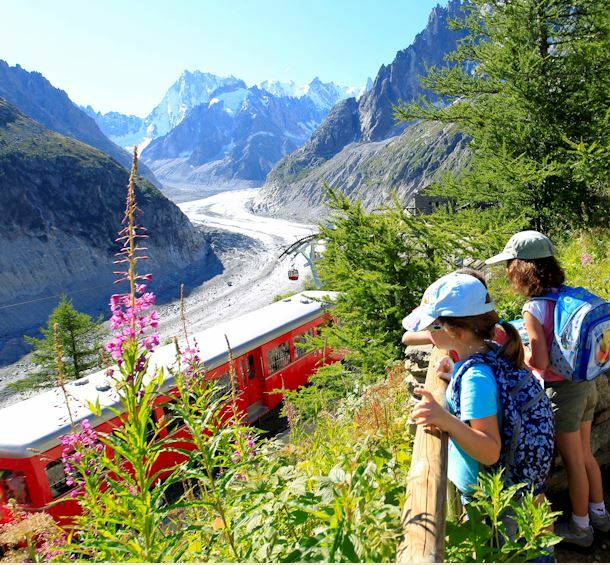 The most famous off-piste descent is doubtless the Valley Blanche, accessed via the Aiguille du Midi cable car and offering several variants. This glacial route is very popular in early spring, but is nethertheless a high-mountain intinerary and the presence of a mountain guide is strongly recommended. Be sure to pay attention to snow conditions and to the weather forecast. Avalanche search device, probe and shovel are indispensable. In the mountains, one must be aware. In Chamonix, ski touring has always been associated with discovering and rediscovering the mountains. It is practiced throughout the winter, but especially in the spring when the conditions are optimal. There are numerous possibilities departing from the valley, not least the famous « Haute Route ». To get the most of the breathtaking back country paths in complete safety, contact the Haute Montagne Guides. The Vallée Blanche descent only in the winter!